Brown mushrooms, garlic and onion in olive oil until tender. Place on the side and brown chicken until done. Then cut chicken into small bite size pieces putting back in pan with mushrooms, garlic and onions. Stir in the pesto until hot. Add hot tortellini to mixture and serve. I garnish with parmesan cheese. This is an easy week night meal when served with a salad and garlic bread. A great thing about this dish is that it can be served hot, warm or cold and taste great! In a sauce pan, melt caramels with milk over low heat, stirring occasionally. Takes about 10 – 12 minutes. In the meantime, mix cake according to directions, adding vanilla. Pour 1/2 of cake mixture in a greased and floured 13 x 9 pan . Bake about 10 – 12 minutes at 350 degrees. When cake has baked for the 10 or more minutes and the sauce is ready, pour sauce over the cake. Sprinkle withchocolate chips and nuts. Pour remaining batter over sauce. Bake about 20 – 30 minutes more, until done. Bake the cake as directed in a 9 x 13″ pan. Let cake cool completely. Poke holes in cooled cake. Mix 1 package orange gelatin dessert with 1 c. boiling water and 1 c. cold water. Pour over cake. Cover and refrigerate for 4 hours. Mix pudding mix with cold milk the other package of orange gelatin dessert and vanilla. Beat by hand with a whisk until thickened. Fold in the whipped topping. Frost the cake with the pudding mixture. 1. Preheat oven to 350°F. Spray bottom and sides of Deep Dish Baker with nonstick cooking spray. Arrange four tortillas in bottom of baker, overlapping slightly. 2. In large (12-in.) skillet, cook ground turkey over medium heat 8-10 minutes or until no longer pink, breaking turkey into small crumbles. Drain, if necessary. Add taco seasoning mix and water; cook according to package directions. Remove from heat; stir in 1 cup of the salsa. 3. Spoon turkey mixture evenly over tortillas in baker. Sprinkle with 1 cup of the cheese. Sprinkle half of the green onion over cheese. Top with remaining four tortillas, overlapping slightly and pressing down lightly. Spread remaining salsa over tortillas. Sprinkle with remaining cheese and onion. 4. Bake 28-30 minutes or until cheese is melted. Remove from oven; let stand 5 minutes. Cut into wedges. Serve with lettuce and sour cream. Blend the Cream Cheese, sour cream and taco seasoning together. Spread on a serving plate. Top with lettuce, cheese, tomatoes, onions, and olives. Put frozen chicken in bottom of crock pot. Mix soup, sour cream, onion soup mix, mushrooms and pour over chicken. Preheat oven to 500 degrees and spray a casserole dish with nonstick spray. In small sauté pan, sauté garlic with the oil until tender, remove from the heat and stir in the brown sugar. Place chicken breast into prepared baking dish and cover with the garlic and brown sugar mixture. Add salt and pepper to taste. Bake uncovered for 30 minutes – until juices run clear. Preheat oven to 375 degrees. Spray a baking pan with nonstick spray.Cook bacon until crispy, either in a skillet over medium heat or on a microwave-safe plate in the microwave. (See package for cook time. )Scramble egg in frying pan sprayed with nonstick spray. Mix in cheese and crumbled bacon stir mixture. In large bowl, beat cream cheese until fluffy. Gradually beat in EAGLE BRAND® sweetened condensed milk until smooth. Stir in lemon juice and vanilla. Pour into crust; chill 4 hours or until set. Top with desired amount of cherry pie filling before serving. Store leftovers covered in refrigerator. Do you want a great recipe for parties? People always ask me for the recipe and it is the first empty bowl on the table. Preheat oven to 375 degrees. Mix all ingredients together. Bake for 25-30 minutes until brown and bubbly on the top. Service with crackers, vegetables, breadsticks, or bread. The Cherry Cheese Pie is one of my favorites and so easy to make! The Cherry Cheese Pie sounds awesome. I’ll have to make this one! Oh my gosh the bacon and cheese dip looks amazing!! It is – I bring it to parties all the time and it is the first thing that is empty!! That sounds really good. It just so happens that I have all of the ingredients on hand. I am going to make it for supper tonight. Can’t wait! The garlic chicken would be ok for my diet plan, but I’d have to omit the brown sugar. Using skinless chicken is good as well! I’m going to try the Bacon Swiss Cheese Dip at our next family gathering. It sounds absolutely scrumptious! that cherry cheese pie sounds like something my mom used to make when i was a kid called ‘cherry cha-cha’. i love food that reminds me of things like that. Anything that is labelled “Easy” is great for the days when I am home late for supper and the boys have to be fed. Thanks for the recipe. It sounds delish! Crock Pot Chicken Stroganoff…that sounds awesome! I’ve never even heard of “chicken” stroganoff. I will be making this this week! Yummy. Looking forward to trying this one! Wish I had all those ingredients on hand right now! I want to try this recipe this weekend. thanks for the idea. The cherry cheese pie sounds really good. I’m going to try the Crock Pot Chicken Stroganoff next time I use the crockpot.. Seems simple, fast, and yummy. Yummy recipes! I love the cherry pie recipe. I haven’t made it in a long time, and this reminds me to try it again. It’s easy and everyone loves it. I generally make stroganoff with ground beef, but I can see where the chicken would be a nice change. It’s nice that you can cook it from frozen, too. this recipe for crock pot chicken strogonoff sounds soo good! I had just seen this morning crock pot chicken pot pie – I must try both of these! I don’t have a crock pot but these two recipes are driving me to go and get one – asap! Garlic Chicken! two great ingredients. but needs an onion. The yummy taco dip looks easy to make and scrumptious to eat! These sound delicious and will be a hit with our big fam. Thank you for sharing! I will be making the tacos this weekend for the crew!! you cannot lose with taco dip! 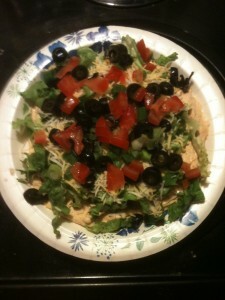 I am excited to try the Yummy Taco Dip – especially for my daughter’s upcoming birthday party. Thank you for the share! WOW! I will be attempting the Turtle Cake! It sounds sooooo good!!! Thank you for sharing !! The turtle cake sounds AMAZING!! Thanks for the Turtle Cake recipe! I have a couple of bags of caramels leftover from Christmas baking, and now I have something to make with them. Yay! The Crock Pot Chicken Recipe sounds yummy. Always looking for new recipes to use in the crock pot. Thanks!! Your Creamscikle Cake looks so pretty and delicious looking too. Thanks for sharing! I love the recipe for the Bacon Breakfast Taquitos – these would be great to make ahead and pop into the toaster oven for breakfast in the morning. Love the looks of the CREAMSICLE CAKE!! This would be wonderful in the summer. Thanks for sharing this! Those recipes sound yummy especially the cakes in particular that turtle cake! Those recipes sound yummy especially the cakes in particular that turtle cake!! Those recipes sound yummy especially the cakes in particular that turtle cake!!! I have to try the dreamsicle cake! It looks amazing and my family would enjoy it. Thank you for all the recipes! I think I’m gonna make the turtle cake. Looks so yummy! The CREAMSICLE CAKE looks incredible. My mouth is watering just thinking of making it. The CREAMSICLE CAKE looks incredible!! My mouth is watering just thinking of making it. The Creamsicle Cake looks awesome!! The Creamsicle Cake looks really terrific! That creamsicle cake is making my mouth water. Yummy! The Creamsickle Cake looks yummy! A wonderful cake for a hot summer day. This cake looks so good. I’m going to make for my family for our Easter Sunday dinner. Thanks. I would love to try and make the Turtle Cake it sounds yummy! I love cake and chocolate. So the turtle cake is right up my alley. Thanks for the recipe. 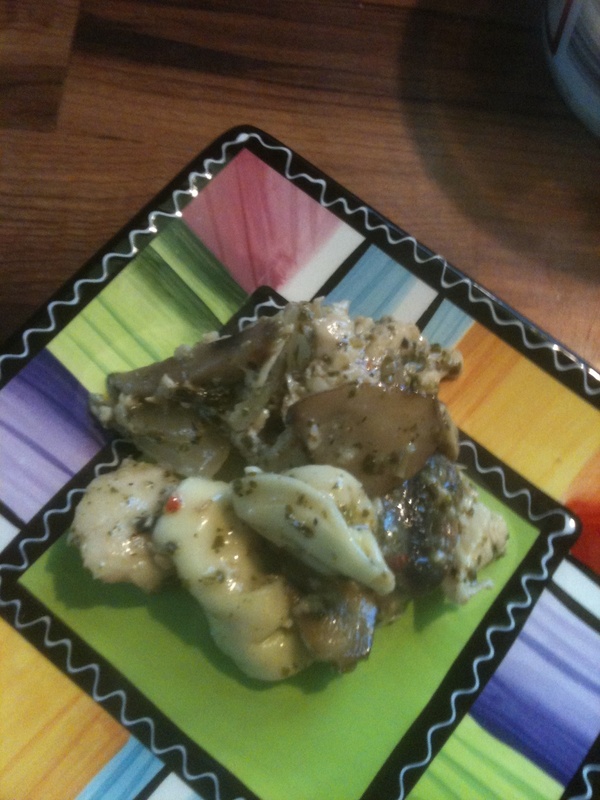 The Chicken Tortellini and Pesto looks so good, I copied the recipe and am going to make this next week. The Cheesy Chicken Tater Tot Casserole sounds like something my son would enjoy. i want to make the dreamsicicle cake. it looks so good! thank you for the reciepe. I would like to make the creamsicle cake. That Taco dip and turtle cake sounds really good. It actually all sounds good. Oh my God. The creamsicle cake has my mouth watering. Unbelievable. I am definitely going to make it this week. Thank you for sharing. The creamsicle cake sounds great! I used to love those things in the summertime as a kid! The turtle cake sounds wonderful & yummy. The creamsicle cake looks GREAT! I haven’t had a creamsicle in years but that taste is so distinct I can imagine this cake would be delicious. That turtle cake looks so refreshing! I know I would love it! Love that turtle cake……it looks yummy. 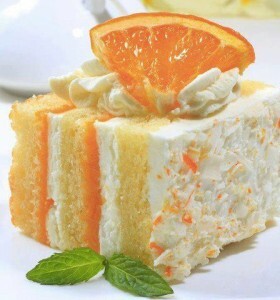 CREAMSICLE CAKE… my son would love this! I love both of the cakes you have here. The Chocolate turtle cake & the dreamsicle cake. I want to take a bite out of the dreamsicle cake Photo! Lol! !I love orange and just Yummy!! I have been looking for a pin symbol so I can Pin these two cakes but so far nothing! Ugh! I really want to make them. Thankyou for sharing! I gotta try that “Creamsicle Cake”! It looks like it would taste so refreshing! Totally different taste to try other than the usual chocolate, white, or yellow cake. i don’t know which sounds beter, the ceamcicle cake or the baacon and cream cheese bits! i will have to make oth, with holiday coming up we will eat it no problem. A lot of these recipes sound good. I’d especially like to try the turtle cake. I love gooey, sweet and salty desserts. I’m going to try that one first. The swiss cheese dip doesn’t sound very aromatic. I like a spinach dip. I may try the crock pot chicken recipe. I don’t cook but this sounds easy to throw together. We love tater tot casserole here.. the cheesy chicken one is a must-try! Cheesy Chicken Tater Tot Casserole looks freaking amazing! The Cream Sickle Cake looks especially good, they were my favorite ice cream when I was a kid. Thank you for sharing these recipes. I love this recipe for CREAMSICLE CAKE!! oh wow, I’ve been making smoothies like creamsicles, I want to make this cake it is pretty and does look yummy! Lots of great recipes here, I am going to try a few of them! I love your taco dip recipe – can’t wait to try it! That Chicken Tortellini and Pesto looks good. Lots of other great recipes too. Your load potato and chicken casserole sounds great! I think the creamsicle cake looks delicious. And it seems easy enough to make. The turtle cake sounds absolutely delicious! I will save this link for a special occasion, maybe a birthday or graduation, when I will make that cake using your recipe. thank you for sharing!! The Loaded Potato and Chicken Casserole sounds great. I just made creamy potato soup last night in my crock pot and all night was craving it. I think that the Chicken Tortellini and Pesto looks fabulously delicious. I copied it down to make it this week, and thanks for sharing it with us. They used to have something, although not as good as this, at Olive Garden. This recipe looked so good, I copied it down. I thank you for the share. I’d love to try the taco dip. Much easier than eating a taco. That turtle cake looks scrumptious! The taco dip sounds so delicious, I am going to have to try this out. The Crock Pot Chicken Stroganoff sounds yummy. I will be cooking this in the crock pot this weekend. These all sound so good! Thanks for sharing! I love your recipes. I am going to use these over the course of the summer. Thanks so much. I love the CREAMSICLE CAKE RECIPE! This is just the cake for the summer time. This recipe makes it seem easy to make. Thanks… I saved it in my files. I would love to make the creamsicle cake….it looks beyond yummy!! The Turtle cake sounds fabulous and easy. I’m going to try it. Thanks for sharing the turtle cake. Looks so yummy and will make it for the family. What great recipes! I’m especially drawn to the Creamsicle Cake– what a gorgeous photo! The cherry cheese pie sounds so good. Thanks for sharing. I am always looking for easy ways to make chicken. So I am going to try your Easy Garlic Chicken and serve it with some kind of pasta. I am going to try and make the Loaded Potato and Chicken Casserole. It sounds so good. I came back to cope the Yummy Taco Dip recipe. It sounded so good I decided to make it. Thanks for sharing these. The Crock Pot Chicken Stroganoff looks good. I love using crock pots. They are so helpful. The Cherry Cheese Pie looks really good. Thanks for sharing. I love any cake with jello in it even if the jello sets up. The taco grande sounds like one everyone here would love. Thanks for sharing.